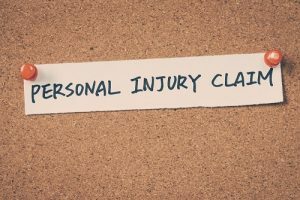 If you have been in an accident in which you suffered a serious injury, all legal aspects of your physical, financial and emotional losses must be considered. We will seek full and fair compensation for your medical expenses, lost wages and benefits, and pain and suffering. Del Sardo & Montanari, LLC, provides experienced injury representation from knowledgeable, compassionate attorneys. If you or a family member was injured and requires legal advice, use our contact page or call us immediately at 973-233-4396. Your consultation is free. Our law firm takes the time to educate our clients about personal injury law. We want to make sure that you understand your rights. It is important that our clients play as active a role in their case as they choose. We believe it allows us to represent you more accurately and successfully. If you or your loved one has been seriously injured or been victim of a wrongful death, it is important to contact an attorney who is experienced in personal injury law and is capable of presenting your case before a judge and jury. Our firm employs Certified Civil Trial Attorneys to assist you at the time of trial. Tough, smart, energetic lawyers — that is what we offer to you. Visit our Woodland Park office and retain our experience to protect your rights and secure justice. Call our office today at 973-785-8181. Del Sardo & Montanari, LLC, allows the laws to make sense for you. If you prefer, you may use our contact page to speak to an attorney.